Cash and Carrots: Home grown tomatoes - yes already! Can you believe it? 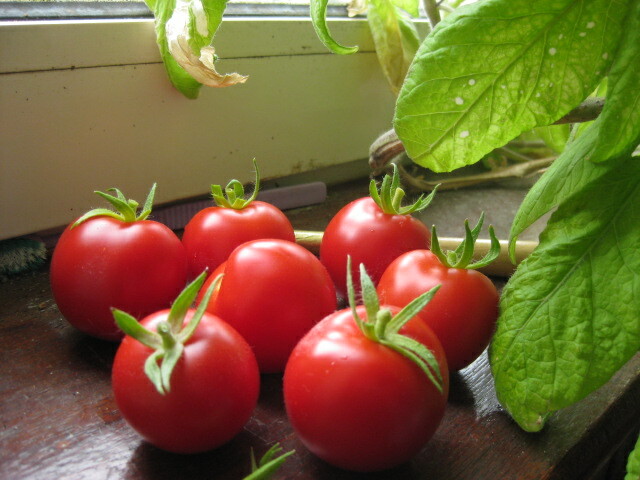 15th of May and we have home grown tomatoes! The tomato plant lives on the window ledge in one of our bedrooms, just above a radiator. My wife decided to leave the tomato plant from last year, gave it a bit of a trim and put bubble wrap on the bedroom window to help protect against the cold. It worked, but with the winter we have just had, only just!